LIVERPOOL City Council is set to begin consultation on continuing its pioneering Landlord Licensing scheme for another 5 years. More than 48,500 licences have been granted to the owners of privately rented properties since April 2015, and it has delivered huge benefits for tenants and people living in the neighbourhood in driving up standards of properties. Almost 20,000 compliance checks have been carried out, with 70% of properties inspected having issues that needed tackling such as health and safety hazards including electrical and heating problems. The Local Authority has issued over 2,000 legal notices, 89 fixed penalty notices and successfully prosecuted 154 landlords. In addition, 11 cases have been brought for health and safety and action taken against 29 unlicensed HMOs (Houses of Multiple Occupation). Nationally, figures show that Liverpool alone is responsible for 389% of the 460% national rise in prosecutions, between 2012 and 2018. Targeted enforcement has been carried out in around a dozen areas of the City, with Officers from the Landlord Licensing team working alongside street scene staff, Merseyside Police, Mersey Fire and Rescue Service and other partners to identify unlicensed properties and associated issues such as disrepair and anti social behaviour. Now a report, given to Liverpool City Council's Cabinet, is recommending that the Council should start consultation on whether to continue the scheme from 2020 to 2025. If approved, a further report will come back later in 2019, at which point the Council will have to decide the size and scope of a further scheme. If it covers more than 20% of the City, then it will have to be approved by the Secretary of State, subject to the Council having sufficient evidence that it is required. Mayor Joe Anderson said:- "Landlord Licensing has given us a foot in the door at private rented properties across the City to make sure that they are up to standard and, if not, take action to make sure they are. Our team have found shocking examples of landlords happy to take rent off their tenants despite providing them with substandard accommodation, often with issues around heating, damp and poor electrics. We've made huge strides in less than four years and led the way nationally in tackling poor housing conditions, but we believe we need to continue with the scheme beyond 2020 to continue making a difference. We believe we have a really strong case and can prove to Government why they need to allow us to continue with a City wide programme. It is important to note there are good landlords out there and we welcome the support we have had from landlord bodies; a well managed private rented sector helps us focus resources on non-compliant and criminal landlords." We are told that this move has been welcomed by 2 of the professional bodies representing landlords. Isobel Thomson, CEO of the National Approved Letting Scheme (NALS), said:- "NALS has supported Liverpool City Council's Licensing Scheme from the beginning through the Co-regulatory partnership which has worked well. Everyone deserves a safe and secure home, and the scheme has allowed the Council to focus its efforts on enforcement and tackling poor standards in the private rented sector." 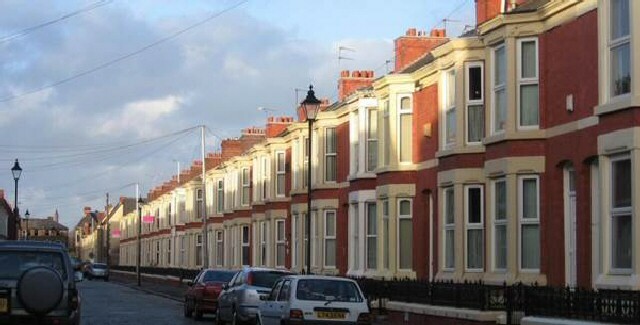 David Cox, Chief Executive of ARLA Propertymark, said:- "Access to quality rented accommodation is a fundamental issue for many families across Liverpool. ARLA Propertymark is pleased to be working with Liverpool Council as part of their Co-Regulation scheme which keeps the costs of licensing down for those landlords whose properties are managed by professional, regulated letting agents." THE CLA (Country Land and Business Association) which represents 30,000 farmers and landowners has welcomed proposals announced by the Home Secretary, Sajid Javid on illegal encampments, on private land, which would make it easier for Police Officers to intervene and remove travellers. The measures include reducing the number of vehicles needing to be involved in an unauthorised encampment before Police powers can be exercised and extending the period during which travellers would be unable to return to the land, from 3 to 12 months. The Home Office will also consult further on making it a Criminal Offence to set up an unauthorised encampment. CLA President Tim Breitmeyer said:- "Illegal encampments in rural areas can have a detrimental economic, environmental and social impact on local businesses and communities as well as to the private landowner, and we welcome this announcement from the Home Secretary. The time it takes to seek the successful removal of an encampment varies widely. Existing police powers for removal have proved ineffective on private land, resulting in frustration to the landowner who has to use alternative legal mechanisms, which are often time consuming and expensive. Making it a criminal offence to set up an unauthorised residential camp would act as a deterrent to those who might consider occupying land without consent and provide greater certainty for the Police to act, if they understand that an offence has been committed. However, this will mean the Government will need to ensure there is a suitable provision of lawful traveller sites, through up to date local plan policies, to avoid the issues that arise from unauthorised encampments. We look forward to engaging with the forthcoming consultation to bring about this change in the law." What do our readers think about this? Please email us your views to:- News24@SouthportReporter.Com. AN exclusive auction house that opened its doors at the beginning of last month has announced an extensive list of valuation days for the year ahead that includes a wide range of venues across the Region, including at the The Prince of Wales, Southport. The event at Southport will be held on Saturday, 9 February 2019, between 10am and 3pm. No appointments are necessary and people are invited to drop in throughout the day. The husband and wife team, David and Beth Elstob, are based in the market Town of Bedale, Elstob & Elstob aims to provide a focal point in the North of England for buying and selling high quality antiques, fine art and jewellery. They will be supported by a team of top level specialists who have held senior posts at institutions such as Sotheby's, Bonhams and Doyle in New York. 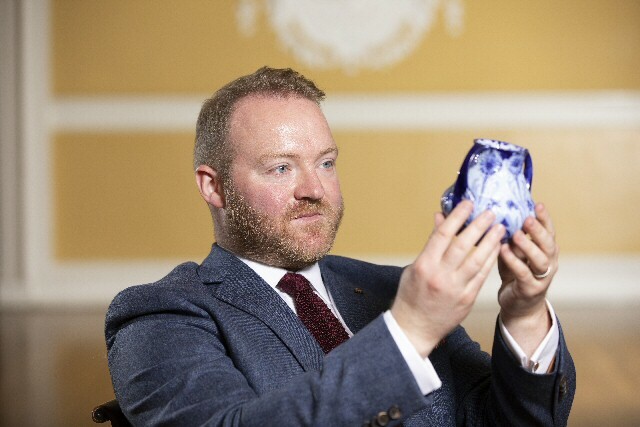 It is this expertise that the auction house is taking out onto the road as part of a schedule of free:- 'Antiques Roadshow style' valuation days, giving people the opportunity to learn more about their prized possessions. All manner of contemporary or antique objects are encouraged including:- silver, ceramics, glassware, pictures, sculpture or other collectables. "One of our motivations for setting up the business was to provide 1st rate professional auction and valuation services to people in the Region without them having to travel further afield to the larger City based auction houses..." said David Elstob, who is 1 of only a small number of auctioneers in the country to have achieved the rare distinction of RICS Chartered Arts and Antiques Surveyor; an extraordinary qualification that puts him firmly into the industry's elite. Many people have things tucked away at home that are actually worth quite a lot of money and even if they are not looking to sell an item, it is always sensible to have a piece valued for insurance purposes. Market trends do vary and an item that wasn't worth a great deal ten years ago may have rocketed in value today. If people do wish to sell then the estimates given at a valuation event are used as a guide price at auction. If the piece doesn't reach its desired price then it doesn't have to be sold so there is no risk at all to the seller..." said David Elstob. While the valuations are free, with no obligation, anyone wishing to sell an object may be given the option to sell it at auction. The list of valuation days will be expanded upon throughout the year and details of all events are available on the website. "The valuation days are an extension of this service and we have picked various tourist and community locations across the whole of the North of England to reach as many people as possible. These events are always great fun and you never quite know what objects will be brought along." said Elstob & Elstob.